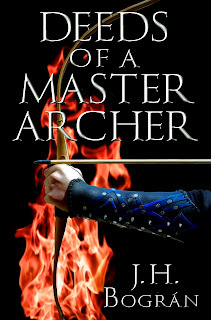 Deeds of a Master Archer is LIVE! Former marine Douglas Rhodes and tech wizard Tom Stevenson started the day struggling to move a washing machine in suburban California, but they'll have to finish it in a strange land battling dragons. When they inadvertently interrupt the sacrifice to calm the local dragons’ appetite, they become the besieged village’s last line of defense against the flying fire-spitting terrors. Forget finding a way home, now they fight to stay alive! 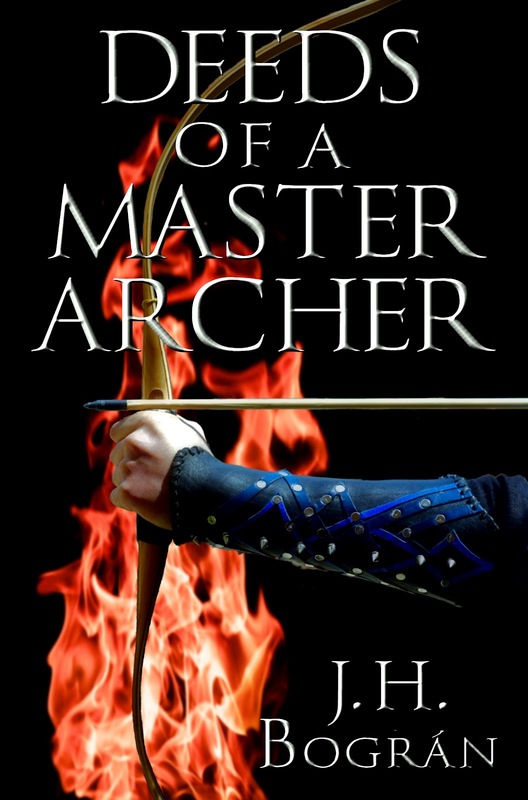 If you enjoy movies and books like Journey to the Center of the Earth and Timeline, “Deeds of a Master Archer” will drop you in the middle of the action where two modern friends find themselves ´duck out of water´ in a medieval world, where the fantastic does exist. -Pammela K. Kinney, author of Spectre Nightmares and Visitations and Haunted Richmond II. I love how the story started in the modern day, real world and then jumped into such a fantasy world filled with dragons! It kept me engaged. -Eileen Cruz Coleman, author of Taker of Light. Parking meters, the bane of every driver’s existence, could prove fatal for Teller, an award-winning investigative journalist. Returning to his home town after a twenty-year absence, Teller investigates the mysterious appearance of the Meter Mangler, a hooded vandal who is trashing parking meters. The Mangler is fast becoming a local hero to the town, a town being crushed beneath the oppressive thumb of the Department of Parking Enforcement. With the death of his best friend, Teller turns his attention to the secretive DPE, a government entity which exacts Draconian measures against anyone unfortunate enough to need a parking space. Commuters are in an uproar, businesses have fled and the downtown shopping area is a ghost town. The people are up in arms. The town is a powder keg. As parking meters spring up everywhere, and uniformed thugs cruise the streets in Cushman carts like hungry wolves seeking prey, Teller struggles with the ghosts of his past and his growing attraction to his blue-haired lodger while staying one step ahead of a growing threat to his life. If you like Michael Connelly , Carl Hiaasen , Elmore Leonard, James Hall, James Lee Burke you’ll enjoy EJ Knapp’s stylish, witty and engaging style. ‘Hell, it seems, is populated by corrupted politicians, bent businessmen and meter maids. And a sorry place it will be. Knapp takes a swipe at the tyranny of the state from a wholly unexpected angle. Fast and punchy, he lambasts bureaucracies’ easy pillaging of our public spaces. Sometimes the seemingly mundane has the ability to explode into murder and riotous mayhem, to be investigated by a series of intriguing characters and leaving a crumpled pile of official vehicles in its wake.’ – Andrew Brown, author of Inyenzi, Solace, Coldsleep Lullaby, Refuge and Street Blues. Available from: Rebel e Online Bookstore, Amazon, iTunes, Kobo, Waterstones online, Barnes & Noble online, Exclusive Books online and to order from book stores. Well, I already professed the love to my country with a nice little blog describing a virtual tour of my five-star piece of heaven on Earth. How could I top that? How about a free day? Well, yeah! The Assassin's Mistress goes free, for one day only, on September 15. The vestiges of a Mayan settlement, towns reminiscent of the Spanish Colony, beaches with fine white sand and swaying palm trees, a diver’s paradise amidst the second largest coral reef in the world. You can find all that in the little five-star country where I live. 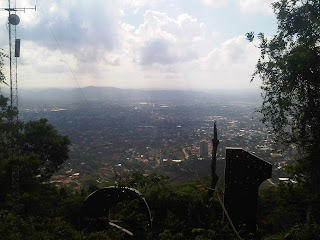 Let me give you a short guided tour of Honduras, Central America. The country is by tradition an agricultural heaven that exports coffee, bananas, tobacco, and more recently watermelons and other non-traditional products such as fish, shrimp. In recent years we’ve become a major player in the textile industry that blossomed during the mid 90’s. Why do I bring up the textile? I owe the plug. It is my day job after all. For the official, government-sanctioned (read boring, official) details, you can follow this link. San Pedro Sula is the Honduran version of New York City. It is not without reason that that the city is dubbed: “The Honduran Industrial Capital.” Yep, all major businesses, factories, commerce are gathered in the edge of the Sula Valley. By the way, the whole country is one big mountain range, so don’t expect to see anything flat here. For night life, we have plenty of bars, discos. Heck, there is even a drive through can where you can get your beer. Sports are big here, too. There are two official-size soccer stadiums with games almost every week. By the way, when a Honduran says “sport”, he 99% of the time we mean “soccer.” There are other sports, we know, but they don’t take a large piece of our heart as football does. Now, when we talk beach, we have some paradise landscapes that could redefine the postcard business. Really, I mean it. Take the city of Tela, for instance, just an hour by land from San Pedro Sula. There is a hotel complex with houses dating from the banana plantation right by the beach. It’s the perfect place for a weekend getaway. On your way from your cabaña, you can pay a Garifuna to braid your hair in the Bo Derek-famous style. Just don’t become a cliché by running down the beach when they’re done. Speaking of Garifunas, they make the best coconut based bread in the world (or maybe it’s the only, not sure.). A few years ago, I took my Korean boss on a day trip to Copan Ruins. We walked about the archaeological park, looked at the stelaes, you know, we completed the tour. Afterwards I asked him what he thought, he said the place was nice but he could not see pass the polished rocks. I guess he didn’t grasp the historical significance of it. Anyway, Mayans and their calendar are popular due to the over-exposed 2012 calendar. Last year I had the opportunity to consult with a real Mayan expert named Ricardo Agurcia. He told me the “end of the world” stuff was nonsense. Basically, and I’m paraphrasing here, is the end of a cycle. Pretty similar to what happens on the day after December 31st, you throw away the last year calendar a hang a new one on its place. Tip of advice: when you get to Copan, get a tour guide to tell you what the rocks actually mean. Oh, before I forget, there’s something interesting about Lempira. He was a native rebel leader opposing the Spanish invasion. He gained such popularity that the Spanish ordered him eliminated. Two guards waving a white flag enticed Lempira out while a sniper hid behind a horse. The sniper promptly took the native out. **Honduras celebrates it independence from Spain on September 15. This is my small contribution to show country's pride.